The Star Alliance and Oneworld are currently having a bit of a fare war on flights from Halifax to Sao Paulo, Brazil (GRU). Airfares are currently down to as low as $773 CAD roundtrip including taxes. It's been many years since roundtrip flights from Halifax to Brazil have been down into the $700s. Roundtrip flights to Brazil tend to bottom out in the $1000-$1200 range these days. In general, great deals from Halifax to South America are quite rare. The cheaper dates look to be focused between March 2015 and the third week of June 2015. Note that Google Flights Explore is in $USD. The cheapest flights are currently the ones going for $604 USD roundtrip including taxes. The travel durations are close to as fast as it can be done, at 15-16 hours of travel time each way, and just one stop. 2. After you have found some dates using Google Flights Explore, take those dates and enter them into Priceline. Priceline seems to be one of the few sites showing a wide range of these fares for booking at the moment. Kayak is showing the Oneworld fares (American Airlines) but not the Star Alliance fares (Air Canada and United Airlines). The prices on Priceline are in $USD. So, the $595 USD price you see on Priceline will convert to $773 Canadian when booked with a Canadian credit card at today's exchange rates. Sao Paulo has pretty decent weather all year round. Most of the time it is nice and dry, and not too hot. March through June is their Fall. The daily high in these months is typically around 23-26C. May and June are typically the driest months of the year. 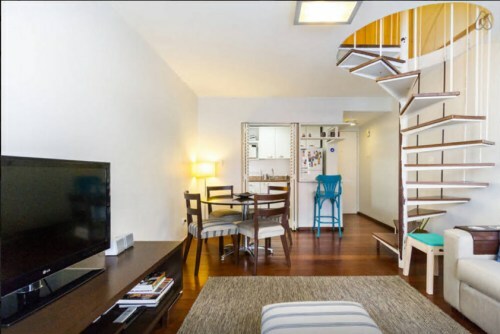 AirBNB search link with 478 more examples of entire apartments you can rent for under $100/night. The Jardins district is generally considered one of the best areas in Sao Paulo to stay for tourists, with all the best restaurants and museums. If you go to this AirBNB search link the map will be centered around the Jardins district, with around 93 apartments going for under $100/night. 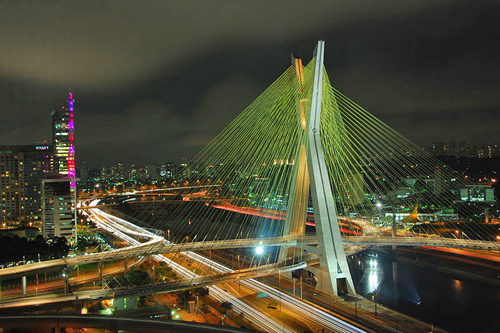 halifax, yhz, flight deals, air canada, american airlines, south america, united airlines, sao paulo, brazil and gru.